It's so bad, it's good. 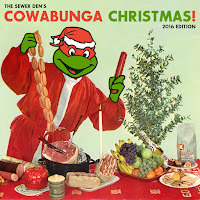 Let's embrace the terribly awesome during Cowabunga Christmas. If it ain't broke, don't fix it. Santa Claus has been successfully dressed in a suit of red for decades. The world loves him in that color, I love him in that color. Red, often a color used to depict anger, is beautifully jovial when it comes to Saint Nick. But, someone didn't agree. Red wasn't to their liking. Red was too classic. In 2016, they thought Santa needed a reboot. Cue the color purple. Cue the Terribly Awesome. 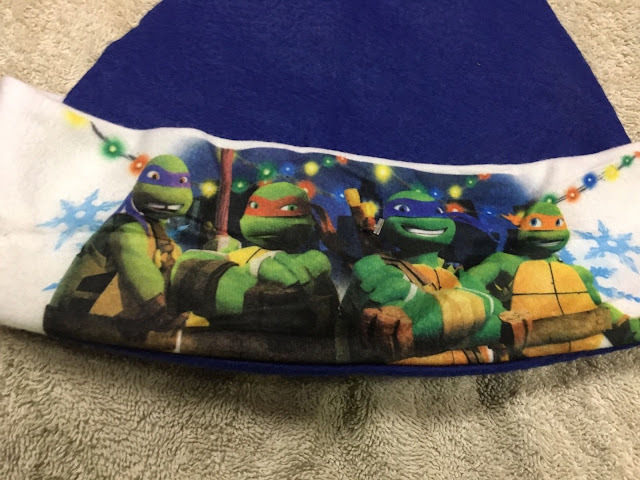 I spotted someone selling this purple TMNT Santa hat online. I wish it was a one-of-a-kind homemade item, but it's not. Even though I haven't seen it in stores or on major retail sites, the purple mess is mass-produced. The color immediately caught my eye. 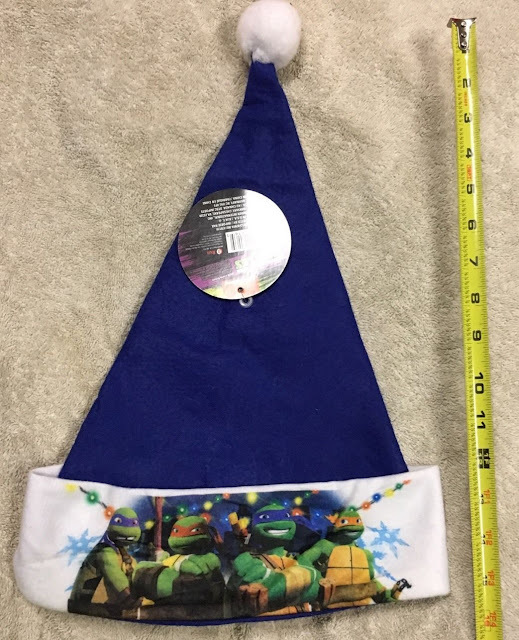 I guess the intention was to create a flashy, non-descript holiday hat for TMNT fans of any faith. But, it fails on that level. The only area where this thing excels is magic. If you want to look like a Teenage Mutant Ninja Wizard, then this is your hat. The purple Santa hat belongs in a Harry Potter film. 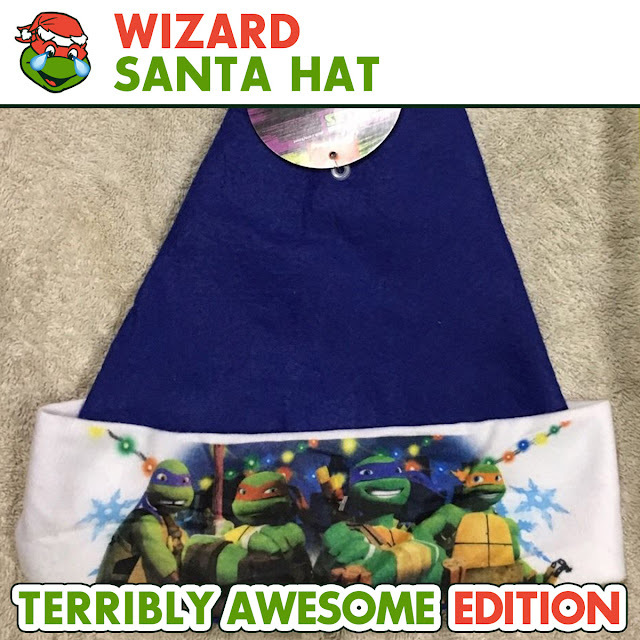 I imagine Dumbledore strolling around the sewers in this thing, not a TMNT fan celebrating the holidays. It's too much magic and not enough mutant. I want to be festive during the holidays, boasting Turtle Power alongside my Christmas tree. But, this purple cap would make me feel like Hermione Granger trying to summon a patronus when all I want is a glass of eggnog! This needs to be an action figure. Add it to my wish list!